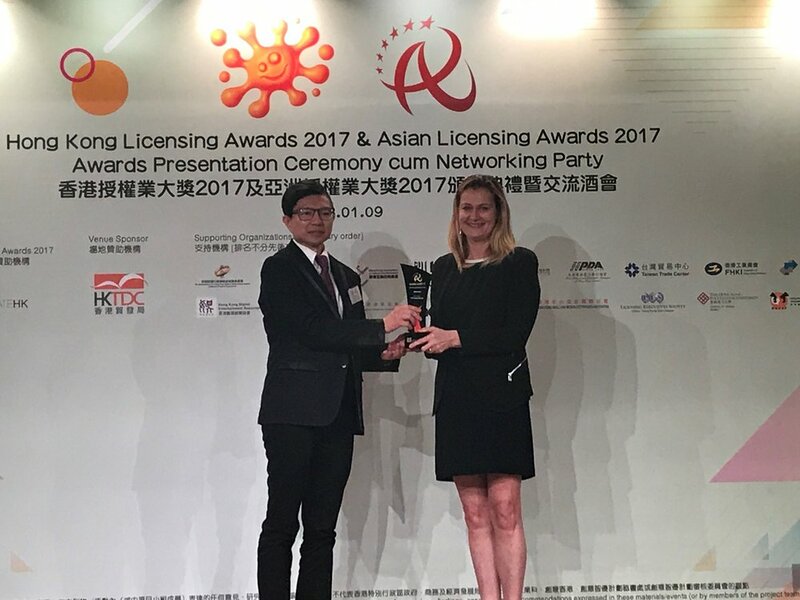 HONG KONG, 10 January 2018 – Viacom International Media Networks (VIMN) Asia today announced that Nickelodeon’s preschool hit property “PAW Patrol” produced by Spin Master Entertainment, celebrated its win in two award programs – Gold Award for “Best Young Property in Asia” at the Asian Licensing Awards 2017 and jointly celebrated a Merit Award with Saipo Baby (Hong Kong) Limited for “Best Licensee” at the Hong Kong Licensing Awards 2017. Both Award programs were held together in Hong Kong last night in conjunction with the Hong Kong International Licensing Show this week. 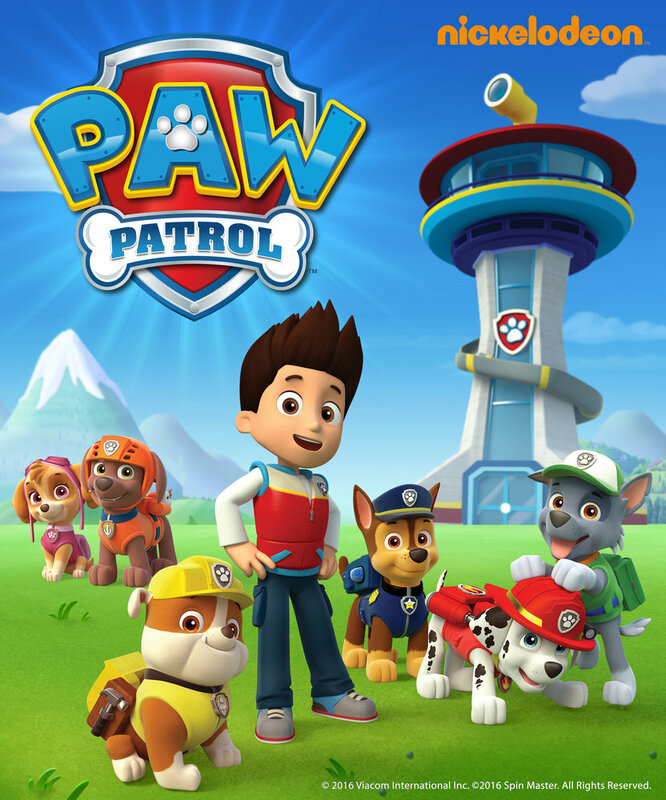 The CG-animated preschool series stars a pack of six heroic rescue pups – Chase, Marshall, Rocky, Rubble, Zuma and Skye – who are led by a tech-savvy boy named Ryder. Together, they work hard to protect the Adventure Bay community believing, “no job is too big, no pup is too small!” The series features a curriculum that focuses on citizenship, social skills and problem-solving as the characters use their unique skills and teamwork. Building on the incredible success of the top-rated global preschool franchise, Nickelodeon held a number of PAW Patrol themed mall shows and events, which have included mall shows, character meet and greets, merchandising, screenings and more across China, Hong Kong, Indonesia, Malaysia, Philippines, Singapore and Taiwan. 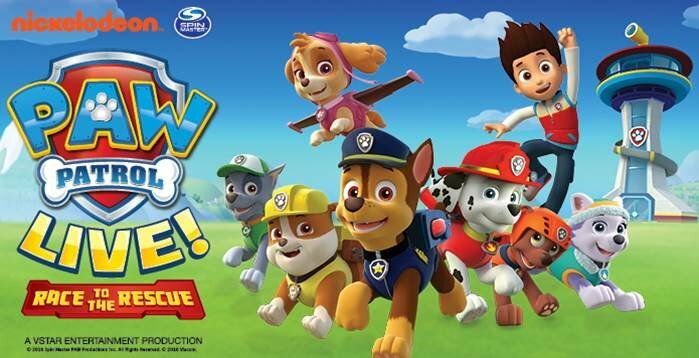 Through its collaboration with Life Like Touring, Nickelodeon also brought PAW Patrol Live! “Race to the Rescue”, its first PAW Patrol live show, to tour Australia, New Zealand and Singapore last year. The live show will continue to tour across Asia Pacific this year. With 2018 being the Year of the Dog this Chinese New Year, consumers across Asia can look forward to a limited edition PAW Patrol Chinese New Year plush collection, and Chinese New Year celebrations and mall promotions featuring the pups across Asia*. Organized by the Asian Licensing Association, the Asian Licensing Awards, recognizes the outstanding achievements of licensed properties, licensing companies, licensing agents, advertising and promotional firms for their development, launch and promotion of licensed properties and trademarks throughout Asia for the preceding year. The Asian Licensing Awards celebrate excellence, innovation and creativity across the licensing spectrum. Separately, the Hong Kong Licensing Awards is a dedicated licensing award scheme for creative industries in Hong Kong. * Availability of the limited edition PAW Patrol Chinese New Year plush collection and Chinese New Year celebrations featuring the pups vary by markets. Spin Master (TSX:TOY; www.spinmaster.com) is a leading global children's entertainment company that creates, designs, manufactures, licenses and markets a diversified portfolio of innovative toys, games, products and entertainment properties. Spin Master is best known for award-winning brands including Zoomer®, Bakugan®, Meccano®, and 2017 Toys of the Year, Hatchimals®, Air Hogs® and PAW Patrol®. Since 2005, Spin Master has received 82 TIA Toy of The Year (TOTY) nominations with 21 wins across a variety of product categories, including 13 TOTY nominations for Innovative Toy of the Year, more than any of its competitors. To date, Spin Master has produced six television series, including 2007 success Bakugan Battle Brawlers and current hit PAW Patrol, which is broadcast in over 160 countries and territories globally. Spin Master employs over 1,500 people globally with offices in Canada, United States, Mexico, France, Italy, United Kingdom, Slovakia, Poland, Germany, Sweden, the Netherlands, China, Hong Kong, Japan, Vietnam and Australia. Viacom International Media Networks (VIMN), a unit of Viacom Inc. (NASDAQ: VIAB, VIA), is comprised of many of the world’s most popular multimedia entertainment brands, including MTV, MTV LIVE HD, Nickelodeon, Nick Jr., Comedy Central, Paramount Channel, BET and more. Viacom brands reach more than 3.8 billion cumulative subscribers in 180+ countries and territories via more than 200 locally programmed and operated TV channels and more than 550 digital media and mobile TV properties, in 40 languages. Keep up with VIMN news by visiting the VIMN PR Twitter feed at www.twitter.com/VIMN_PR. For more information about Viacom and its businesses, visit www.viacom.com, blog.viacom.com and the Viacom Twitter feed at www.twitter.com/Viacom.